Happy Friday! A couple months ago I featured a wonderful guest post by author Fiona Ingram. I've brought her back today for an interview. Enjoy! Hi Fiona! Please start off by telling us a little about yourself. accident after I went on a family trip to Egypt with my mother and two young nephews. You have a middle-grade adventure novel called The Secret of the Sacred Scarab. Can you tell us a little about the story and the awards you've received for it? The book is a thrilling adventure for two boys (12 and 14), whose fun trip to Egypt turns into a dangerously exciting quest to uncover an ancient and mysterious secret. A 5000-year-old mystery comes to life when a scruffy peddler gives Adam and Justin Sinclair an old Egyptian scarab on their very first day in Egypt. Justin and Adam embark upon the adventure of a lifetime, taking them down the Nile and across the harsh desert in their search for the legendary tomb of the Scarab King, an ancient Egyptian ruler. With just their wits, courage, and each other, the boys manage to survive … only to find that the end of one journey is the beginning of another! I have a great book website. Young explorers will enjoy an interactive journey through Egypt, following Justin and Adam’s exciting adventure on www.secretofthesacredscarab.com. Readers can also browse the first chapter of the book and there is a Book Glossary for interested readers. Those who survive the journey and manage to translate the Curse of Thoth will be able to read the first chapter in Adam and Justin’s next adventure—The Search for the Stone of Excalibur—as they hunt for the Scroll of the Ancients. I think book contests and awards are a great way to get one's book out there. I have won two Finalist places (2009 Next Generation Indie Book Awards and 2009 National Best Books Awards) and one win (Winner 2009 Readers' Favorite Awards). The book was also nominated number 2 in The Children's and Teens Book Connection nominations for The Top Ten Favorite Books of 2009 for Kids, Tweens and Teens. I am very proud of that achievement for a first book, written by an overseas author (I live in South Africa). I love that you originally wrote The Secret of the Sacred Scarab for your nephews after a trip to Egypt with them. How much of the book is made up of anecdotes of that trip? A lot! Egypt is an extraordinary place and so we had an amazing adventure. Most of the characters are based on people we met. For example, the hilarious description of the customs official is taken directly from real life. When he stamped my nephew’s passport, the official sniggered about how my nephew was “too yunk (sic) to sign.” My nephew was really upset, but this amusing moment, as well as many others made their way into the book. My nephews gobbled olives and other delicacies just the way my heroes Adam and Justin do. I also made the boys’ journey follow our real journey. It gave a tremendous structure to the story. You’re a self-published author. Can you tell us why you chose to go that route and what the pros and cons have been? What advice would you give to writers thinking about self-publishing? To be honest, I didn't know any better when I opted for self-publishing. I knew nothing about book publishing; I write for a journalism market, which is totally different. I did not want a local publisher because South Africa has a very limited market and there's not much chance of a locally published book making it overseas. Also, political changes have affected what publishers feel they should be putting on the shelves; another factor is that most of the population does not have a culture of reading. One fifth of the country is still illiterate so it's overall not a good scenario. I sent my three chapters and begging letter to 35 British agents, 33 of whom were not interested. One gave me great advice and praised my writing, saying I should just persist. The other said she would have taken me but she had someone with a similar idea. (Who could possibly have an idea like mine, I thought, in my naïveté). A friend put me onto someone who had self-published and the book looked just like a 'real' book. Surprised, and still ignorant, I went ahead with an American “assisted self-publishing” (is there such a thing?) company, iUniverse. Pros: you can get your book out there if you do it yourself, and have complete control over what the results will be (I wanted illustrations and maps etc). Some advice when choosing the self-publishing route. Expect what you pay for. Many charlatans in the marketplace take your money and leave you with a few poorly produced copies and no real platform for sales. Do some research and find out exactly what they offer. They should offer: a top program with all the elements for your book to meet traditional publishing standards. This includes the ISBN, a barcode, title and author name on the spine, back cover copy, and author bio details, as well as proper typesetting. They should offer editing and proofreading services, and a presence on the top book sites (such as Amazon), as well as a program that helps get you into the bricks-and-mortar outlets such as Ingram’s, Barnes & Noble, and Baker & Taylor. They should also offer an optional extra marketing strategy to cover radio and television and some Publishers Catalogue-type publications (you’ll pay extra for this), as well as sending out review copies and press releases to relevant people. Check everything they do for you, including your layout and copy proofing. If you’re not experienced enough to spot errors, then get someone else to look at it. It is expensive, but given that trade publishers are now looking at self-published books that do make the grade, it’s worth it. The Secret of the Sacred Scarab is the first book in a series titled The Chronicles of the Stone. How does the story continue? When do you plan to publish the second title? Adam and Justin discover that the ancient scarab they were given is, in fact, the First Stone of Power, one of seven scattered around the ancient world thousands of years ago. A race against time and uber-baddie Dr Faisal Khalid ensues. The person who unites all the Stones of Power with the Stone of Fire, (swept away when the tomb of the Scarab King collapses) will be able to read the ancient and magical Book of Thoth. The reader will gain mastery of time, space, and hold dominion over the beasts of the earth, creatures of the sea, birds of the air, and be able to achieve immortality. (The amazing thing is that this is a real legend, not something I made up.) Scary stuff as readers realize when they encounter the ruthless Dr Khalid. Once the first Stone of Power came to light, it is only a matter of time before the others begin to surface, manifesting usually in the weapons or regalia of long-dead warriors and kings. Such is the case with the second stone which might just be hidden in the hilt of the most famous sword in history—the sword of King Arthur, the sword Excalibur. My second title is The Search for the Stone of Excalibur. The quest takes Justin and Adam to Scotland. I am about two thirds of the way through and writing as fast as I can, in between marketing book one and doing free-lance work to survive. I have an agent interested in the second book. She hasn’t read a word yet of the manuscript but has based her desire to represent me on the quality of the first book, and the great 5-star reviews and the awards/nominations I have won. Once I have finished, I will send her the manuscript and hold thumbs while I get stuck into book three. How has the promotion side of the business been for you? What fun things have you done to promote your book? Promoting has been the hardest thing I have ever done. Marketing is far more difficult than writing. Yet, marketing is vital because if you don’t really push your book in all possible ways, no one will notice your work. I do everything: write articles, my own blog, going on blog tours (brilliant results) Facebook, Twitter, my website, the book website, get book reviews, ask for interviews, enter book contests and awards, and just tell everyone about my book. The fun stuff is doing book readings at schools and libraries here in South Africa. I usually do a quiz on Egypt and chat to kids about how easily one can create their own stories. What did your journey from aspiring author to self-published author entail? What were the key milestones along the way? Is there anything that you’ve learned or experienced during the self-publishing process that’s surprised you? Yes, professional people in the industry have been particularly kind, taking the trouble to reply to my queries or requests for advice. I have received so many free tips from people who are in it as a business and don’t have to help. I also found that people have gone out of their way to help me when they didn’t have to do that. I am extremely impressed with the professional levels of service in the USA. It’s so difficult to get any kind of recognition in South Africa, and yet in the USA people have been so willing to assist, advise, review my book, and point me in the right direction. I am eternally grateful because I think without that help I would have made many more errors. I have some great articles on my website www.FionaIngram.com with all the steps I took to get to where I am now. However, 3 simple tips should help. 2. Make sure that your manuscript/book is as perfect as can be, and if that means spending money on editing and proofreading, do it. 3. Do not stop marketing: Even when your book is out there and you’ve sent off your press releases, don’t stop spreading the word! Do something every day (either online or physical) to continue your marketing thrust. Remember—marketing doesn’t sell books … marketing gives you exposure and exposure sells books (my thanks to marketing guru Penny Sansivieri of Author Marketing Experts for those words). What’s your writing process like? Would you say your work as a journalist and editor has informed your writing much? Journalism, as you probably know, is a completely different style from writing fiction. Taut, concise, bold, factual … not your lovely-curled-up-with-a-book-read. It was such freedom to be able to really write, really explore images, words, sounds and the ‘feel’ of things. I truly enjoy writing as an author, not as a journalist. That said, writing a book is not quite the same thing as writing an article or a press release. I had an instinctive feel for how things should unfold in my book, and I think that came from writing so many university essays and a master’s degree thesis where structure and development of a theme is very important. Sounds unlikely, but when you read a book that is wobbly or unstructured, you, the reader, become impatient. If the writer doesn’t know which way the story is going, how can the reader be expected to continue with it? It was my first book and I did feel trepidation, but to my surprise, the turning point in the plot came very naturally, and the other elements just dovetailed in. I have a clear overview of where each story is going, and I stick to those pointers, but I allow for my imagination and ‘coup de foudre’ ideas to unfold. (An example: in the second book I recently had one of the revelatory moments when I linked two important themes together). My editorial and journalistic background has been a mixed blessing. On the one hand I have the advantage in knowing about grammar, structure, vocabulary, spelling etc. (And being something of a tyrant myself when editing someone else’s articles…) On the other hand, the whole process of being edited was a humbling experience. My editor said she loved the book. Huge smiles from me … already picturing Bloomsbury Press clamoring to make me the next You-Know-Who. Then I opened the document to find red lines everywhere. I was devastated—how could she like the book when it was clear I had failed the exam? I was totally crushed by the silly mistakes I felt I should have picked up. I have now learned to ‘read between the lines’ when it comes to writing vs. editing. In final production, cover, illustrations, presentation etc. I am so grateful for my previous experience because I was able to pick up on many small but vital elements that make a difference—such a sizing of illustrations and maps, placement of pics, small details of layout that I found pleasing or disturbing to the eye. Chapter headings, line counts on a page (I counted them on every single one of the 257 pages), widows and orphans. 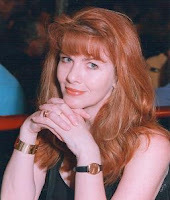 I have a good author site www.Fionaingram.com where I put up all my articles and reviews. There is also a link to my blog. Interested readers can also visit the book website at www.secretofthesacredscarab.com. That’s an interesting question. The question I have never been asked is: is there anything you regret about embarking upon this career? My answer is: I wish I had done it ten years earlier than I did, but I would not be the person I am now, my nephews who inspired my heroes would have still been in rompers, and the trip that gave me the foundation of the mythology behind the book series had not happened yet. So, even if I had gone ten years before we did, none of this would be the way it is today. I have had to accept that life and the Universe have the timing that is perfect for us, even if we don’t know it at the time. Thank you so much for the great interview, Fiona! I really appreciate the inside look at self-publishing and your career. Best of luck to you with the agent that's interested in book 2 and in all your future endeavors! Oooh, Fiona's book loos great! I love books on the ancients because I love learning! Such fun stuff. Wonderful you were able to visit Egypt first. that would definitely help with the sensory details! Thanks for those positive comments! Yes, going to the actual places was a bonus. There's something about the 'feel' of an exotic environment that just has to be experienced first-hand. My third book is set in South America and I can't wait to go. Great interview. I appreciate the advice! Be sure to check out my new book also!